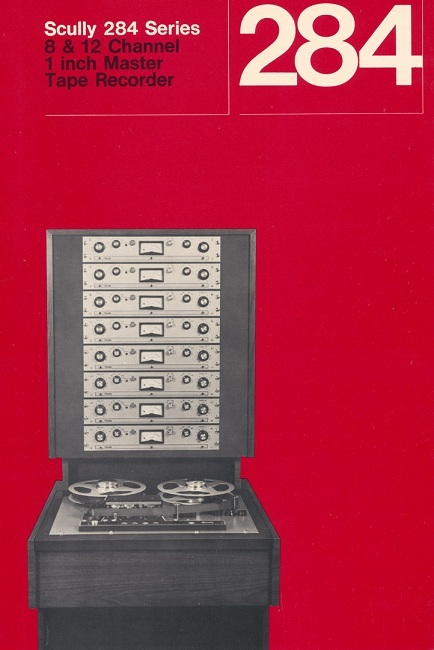 The Scully 284 Series is an eight or twelve channel, on inch, master recorder designed in the traditional Scully manner to meet the exacting requirements of multi-track recording. Its outstanding reputation for reliability is well deserved. All solid-state, equipped with selective synchronization, and Sync/Master facility. Precision machined for optimum performance and durability. Three motor drive system. Advanced tape handling. Motion sensing logic controls braking. Spillage and breakage of precious master tapes are eliminated. Automatic tape lifter keeps tape off heads while rewinding until tape motion stops. Scully Sync/Master as optional accessories. 1/2" head assemblies for 1/2" operation. 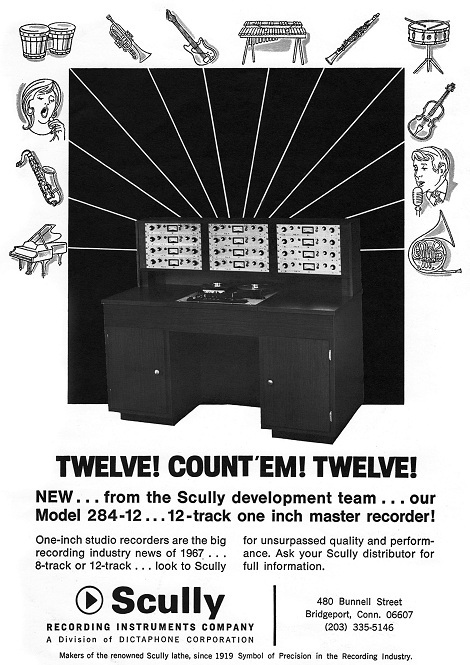 Scully 284-12, 12-Track 1" Recorder/Reproducer. Document courtesy of Scully, Steve Puntolillo and the Scully Group. - Scully Model 284-12 12-Track 1" Recorder/Reproducer - Fully restored by Steve Puntolillo of Sonicraft A2DX Lab - Photo courtesy of Steve Puntolillo. 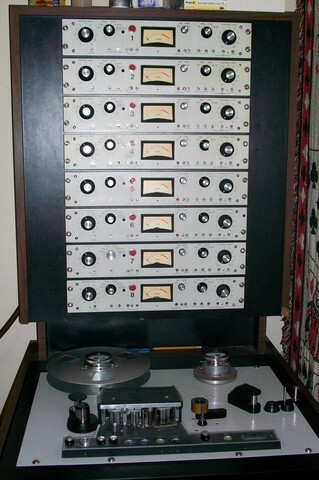 Scully 284-12, 12-Track 1" Recorder/Reproducer. Photo courtesy of Steve Puntolillo and the Scully Group. 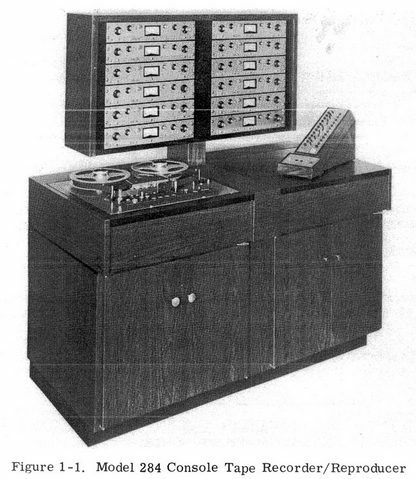 Scully 284-8, 8-Track 1" Recorder/Reproducer. Photo courtesy of Steve Puntolillo and the Scully Group. 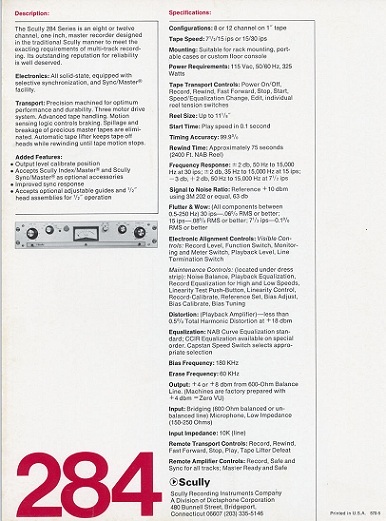 Do you have content, to add, about the Scully Model 284 Tape Machine or associated topics? Please feel free to Share it, here!